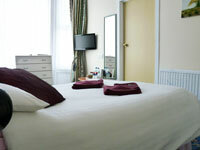 This Hastings guest house is centrally positioned and is within 5 minutes level walk of Hastings rail & bus stations. Hastings & St Leonards seafronts, town centre, theatre, university & college. Many of the other main attractions are all only 3-5 minutes away. Street parking in the holiday sector of Hastings is restricted mainly to residents only. However, here at The Apollo Guest House, within one minute's walk there is under cover car parking available for 250 vehicles. We can offer you vouchers to park in this secure overnight car park free from 4pm to 11am the next day. Blue Badge holders can park outside (single yellow line) for the three hours, there are also disabled parking bays close by. Check Availability Here, click on the button and follow instruction. 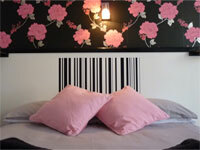 This will also give you up to date information on our special deals. Pay by card on the telephone. 25 Cambridge Gardens Hastings TN34 1EH. 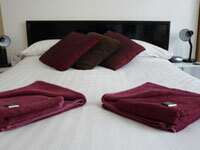 View our prices for accommodation on our tariffs page, and browse our special offers for last minute deals. 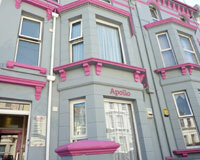 © 2019 Apollo Guesthouse Hastings Sussex. All rights reserved.